According to U.S. News and World Report’s 2018 Best States report, Florida ranks best in the nation for higher education. But a closer look shows a less impressive statistic: Florida ranks 30th in educational attainment, or the achievement of college degrees. In Escambia County, StriveTogether Cradle to Career Network member Achieve Escambia is digging into this discrepancy. Kim Krupa, Achieve Escambia’s executive director, doesn’t believe the top rank is an excuse to ignore the alarming status of Florida’s educational attainment. Who are the children missing out on a greater potential for a successful career, beginning with higher education? And why is the chance bypassing them? Along with asking these important questions, Achieve Escambia has begun partnering with a powerful new ally: Florida College Access Network (FCAN). This partnership was forged to reduce inequities in disadvantaged communities, including those in the portion of the state where Escambia County is located. FCAN and Achieve Escambia share a common goal: to increase postsecondary enrollment in Florida, with a focus on low-income and first-generation college students. FCAN’s statewide network provides support for communities seeking to increase student readiness and ultimately improve college and career participation. In its first six years, FCAN has increased awareness of postsecondary education options and made it easier for students to apply for opportunities. One initiative, the Florida FAFSA Challenge, is a friendly statewide competition to improve FAFSA completion by 5 percent over the previous year. This year, almost 300 schools in 37 counties have registered for the challenge. Achieve Escambia’s membership in the network creates a tie to 13 colleges in Florida. 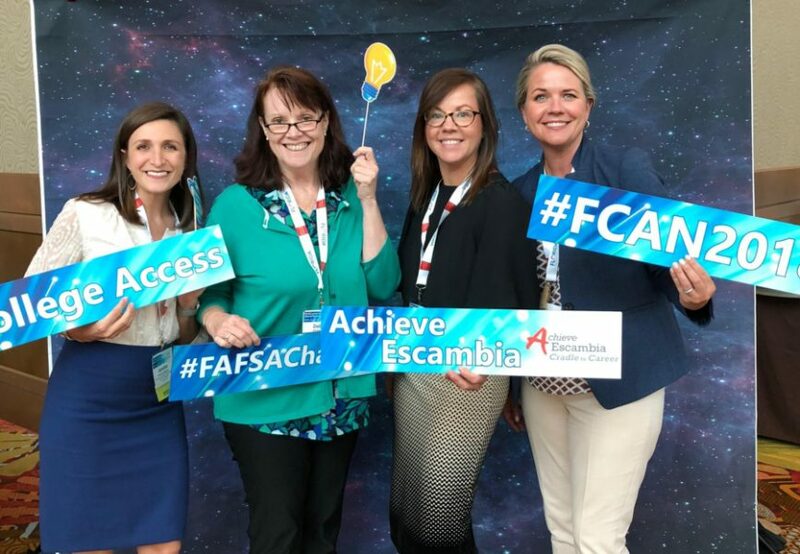 Through an 18-month planning process, Achieve Escambia has worked with FCAN to launch two projects in its Local College Access Network. The Florida FAFSA Challenge has created significant changes across the state in the 2017-18 school year. Its data dashboard showcases progress, including how close public high schools are to meeting this year’s goal of 43.3 percent. So far they are at 39 percent and need 8,534 more FAFSA completions to reach the goal. Since the FAFSA opens the door to scholarships, grants and loans for disadvantaged students, application completion is a pivotal first step. Last year, Florida high school seniors qualified for about $149 million in Pell Grant funding. Thanks to Florida FAFSA Challenge, that amount increased by $6 million because more students completed the FAFSA. Achieve Escambia and FCAN have put postsecondary enrollment at the center of the conversation. With a focus on this shared goal, the partnership is getting results for the futures of Escambia County high school students. 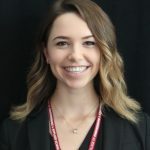 Megan Hughes is the communications and events intern at StriveTogether. Megan is a junior at the University of Cincinnati, pursuing a degree in communications with a public relations certification.